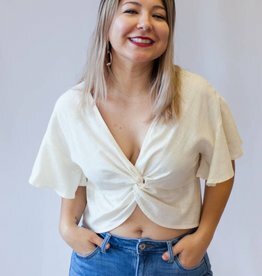 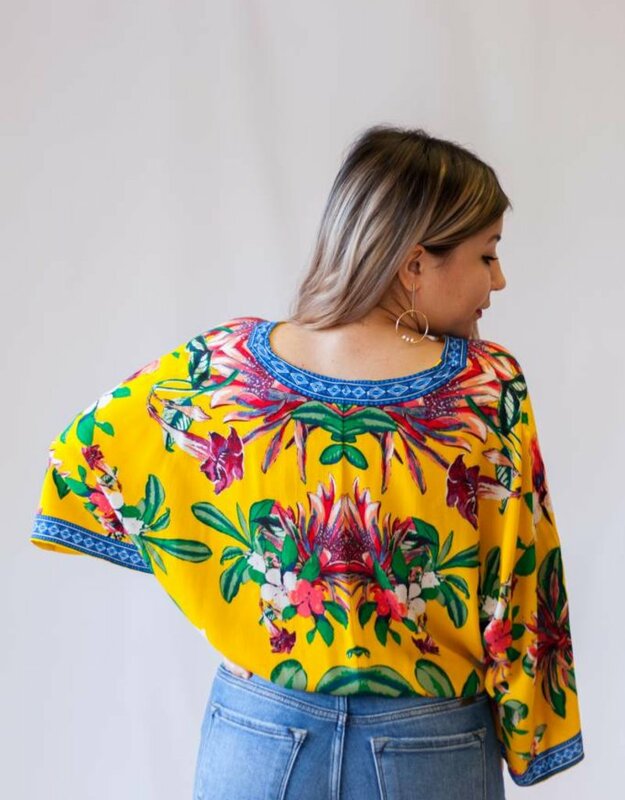 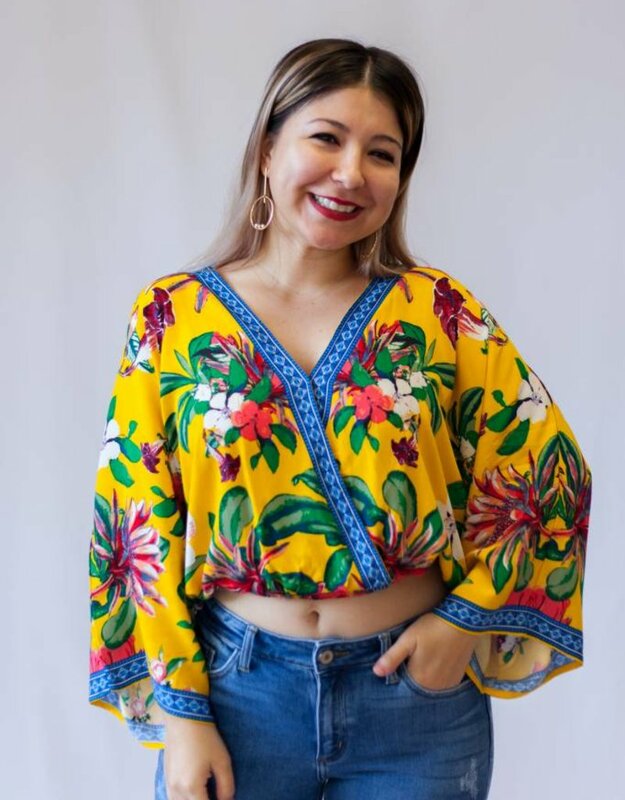 We are in need of a vacation and this top is a must have! 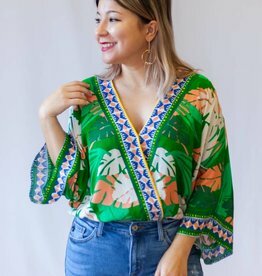 Our Emily top features a tropical print, surplice neckline, and kimono sleeves. 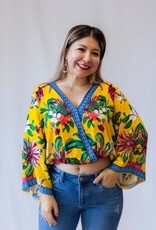 Pair this top with the matching shorts or with some denim shorts.